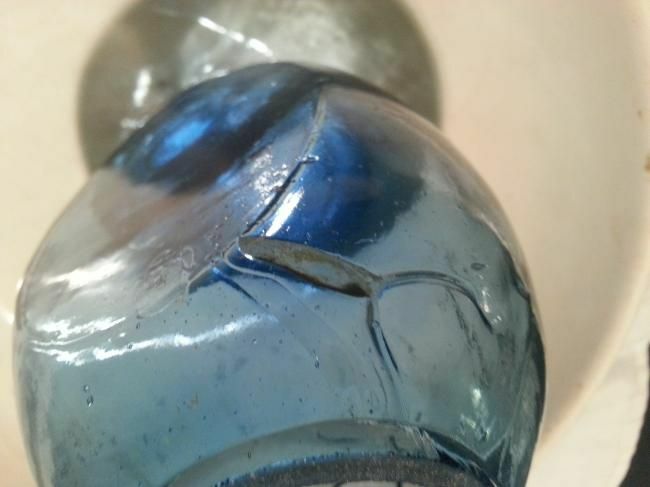 Can someone help me identify this bottle/jar? Thank you. 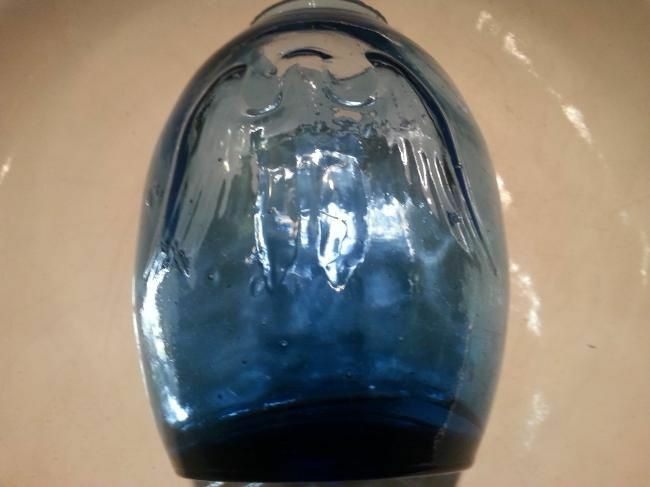 I recently obtained this bottle/jar and I can not seem to find anything about it. It is approx 5 1/2" tall. 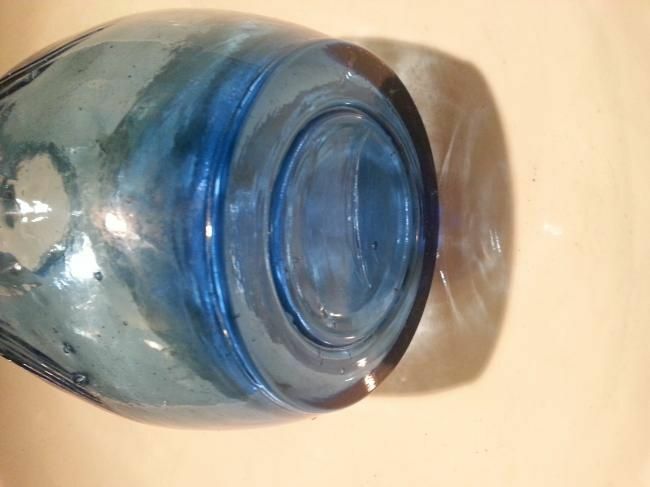 Does anyone know anything about this type of jar, or have seen this before? Thanks for all your time. 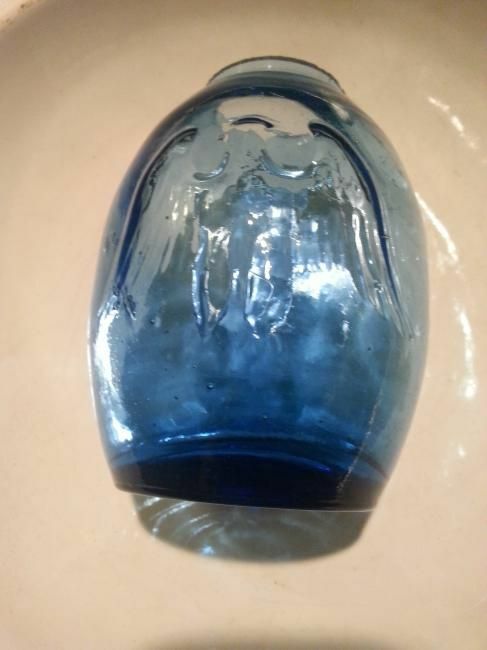 The form is called a bookend vase - I had originally thought this was a Clevenger piece but found last evening that it is not listed in Tom Haunton's book on Clevenger glass. Tom does mention that other companies produced similar pieces. I can tell you that it dates to the later 20th century.